In Arnold's Encyclopaedia, he said he told Frank Zane a joke to distract him and make him laugh and throw off his posing, he gave it as one example of how he would try to out psyche his opponents. Arnold great bodybuilder, successful actor and politician and bullshiter par excelance'. Arnold didn't need to distract Zane there. Zane looked tired small and way older than he really was . Not sure whether you're kidding or serious...that's not Tom Cruise, it's Bev Francis (Steve Weinberger's wife). Arnold had flaws...sloping shoulders, small forearms & legs, and only a 4-pack, but his arms and chest are so incredible. Just look at that huge tendon insertion in that first pic when his arm is at 90 degrees...the gap...amazing genetics like we haven't seen since. 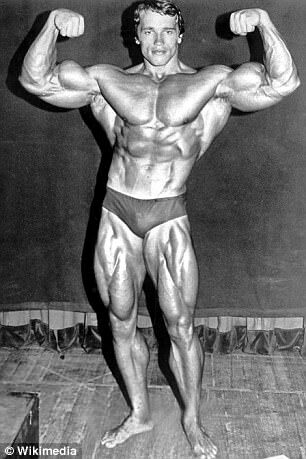 In his prime, 70-74, Arnold had the best overall leg development in his era. For his time compared to others. His quads were huge and insanely separated. People just remember '75 when his quads were a tad light and 1980 when they were noticeably small. Who do you think had better legs than Arnold at that time? No one claimed that Draper or Reg Park had weak legs but Arnold crushed them here. Even Sergio couldn't achieve that kind of separation. As a piece of trivia, a recently discovered fly was named after Arnold because of it's "bulging" thighs. "As soon as I saw those bulging legs, I knew I had to name this one after Arnold," he said in the story." 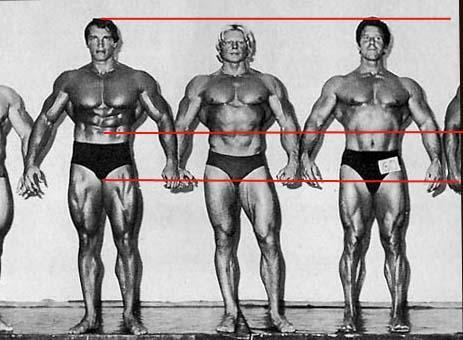 Exactly, peak arnold everything was there and quad separation was unmatched, he still pisses over many today. May have had sloping shoulders totally relaxed too but standing properly with good posture he was wide as hell, 1980 even shows this.